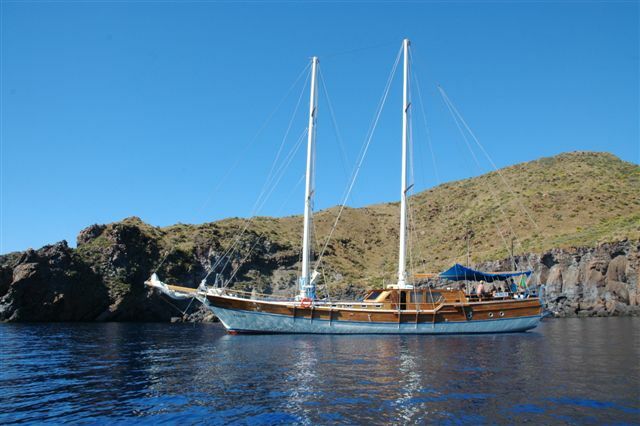 Welcome to the Aeolian Islands….. Unique beauty, fascinating geological characteristics (three of the islands are active volcanoes! ), a wealth of history, myriad Greek myths and legends, wonderful sea-swimming, great beaches, stunning views, mountain and coastal walking galore, mouthwatering cuisine and luscious sweet dessert wines… Despite all this, the Aeolian Islands remain fairly unknown out of Italy and surprisingly unspoiled outside the peak weeks of August. 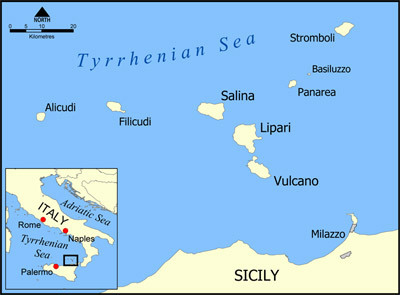 Situated in the North of Sicily, in the Tyrrhenian Sea, the archipelago was named after Aeolus, god of the winds, by Greek settlers. This seven pearls of Sicily were designated as Unesco World Heritage Site in 2000. Scientifically the archipelago is defined as a volcanic arc. 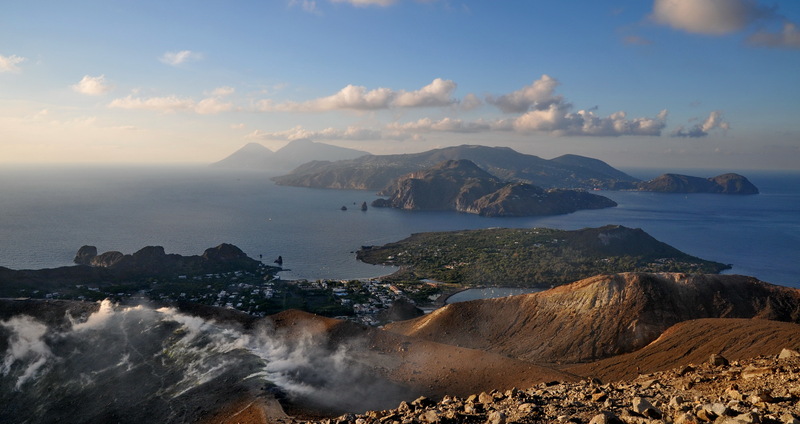 The origin of the Aeolian Islands is due to movement of the Earth’s crust as a result of plate tectonics. The African continental shelf is in constant movement towards Europe. The resulting collision has created a volcanic area with ruptures in the Earth’s crust with consequent eruptions of magma. The “Aeolian Arc” extends for more than 140 kilometres (87 miles), but the area of geological instability caused by the collision of Africa and Europe is much larger. It includes Sicily, Calabria, and Campania together with Greece and the Aegean islands. 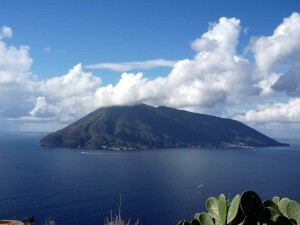 Stromboli, in permanent eruption, maybe the most famous and spectacular of the Aeolian Islands. 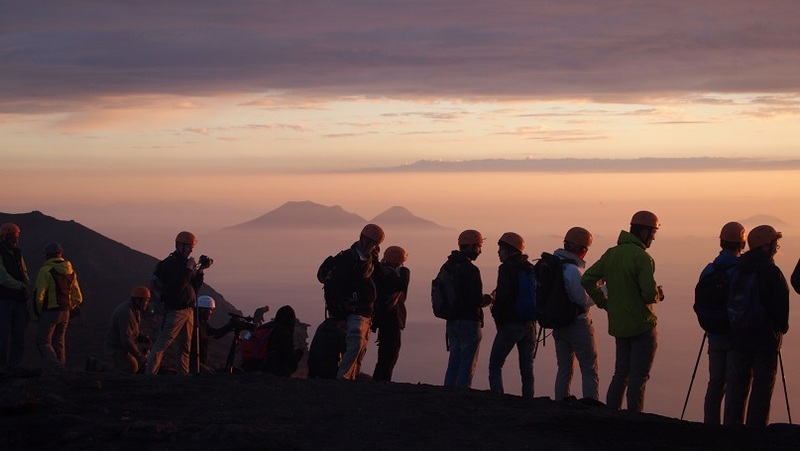 It is certainly one of the most active volcanoes in Europe and well worth an ascent to the top (when possible!). This name is derived from the Ancient Greek name Strongulē which was given to it because of its round swelling form. The island’s population is about 500. The volcano has erupted many times and is constantly active with minor eruptions, often visible from many points on the island and from the surrounding sea, giving rise to the island’s nickname “Lighthouse of the Mediterranean“. Mt. Stromboli has been in almost continuous eruption for the past 2,000 years. A pattern of eruption is maintained in which explosions occur at the summit craters, with mild to moderate eruptions of incandescent volcanic bombs, at intervals ranging from minutes to hours. This Strombolian eruption, as it is known, is also observed at other volcanoes worldwide. Approaching Vulcano, it’s difficult not to feel a slight shiver down your spine as you spot the white trails of smoke rising from the island’s ominous peaks. However, any sense of disquiet is quickly supplanted by a more earthy reaction as you get your first whiff of the vile sulphurous gases that infuse the air. Vulcano’s volcanic nature has long been impressing visitors – the ancient Romans believed it to be the chimney of the fire god Vulcan’s workshop – and the island is today celebrated for its therapeutic mud baths and hot springs. The main drawcard, however, remains the Fossa di Vulcano, or Gran Cratere (Large Crater), the steaming volcano that towers over the island’s northeastern shores. 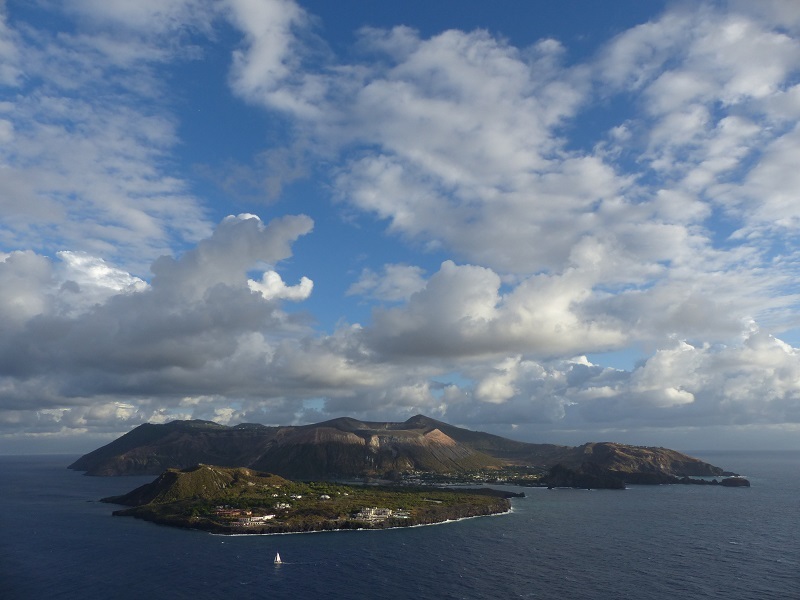 There’s no sightseeing as such on Vulcano, but it’s a great place to spend a day or two, swimming off the dark volcanic beaches, sailing the wild coast or climbing up to the smoking crater. Lipari is the largest, busiest and most accessible of the Aeolian Islands. 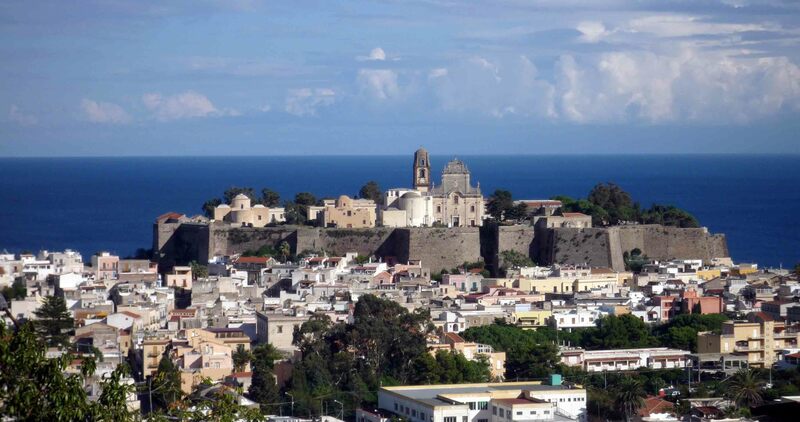 The main focus is Lipari Town, the archipelago’s principal transport hub and the nearest thing that islanders have to a capital city. Away from the town, Lipari reveals a rugged and typically Mediterranean landscape of low-lying macchia (dense shrubland), silent, windswept highlands, precipitous cliffs and dreamy blue waters. From a historical point of view, Lipari is the most interesting of the islands, though Summer visitors come mostly for the beaches. The main locality that boasts a largely reconstructed Norman-era church and a fine archeological museum nearby, though the archeological park is more interesting. The oldest part of the castle was built in Greek times, but the thirteenth-century walls that dominate the structure are naturally more evident. Following the assault of the Turks, the larger walls were built, and these constitute the fortress’s present appearance. 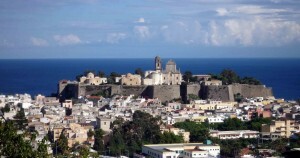 There are remains of several towers and other medieval structures on Lipari, and also some Greek and Roman ruins visible in the Diana District Archeological Park. 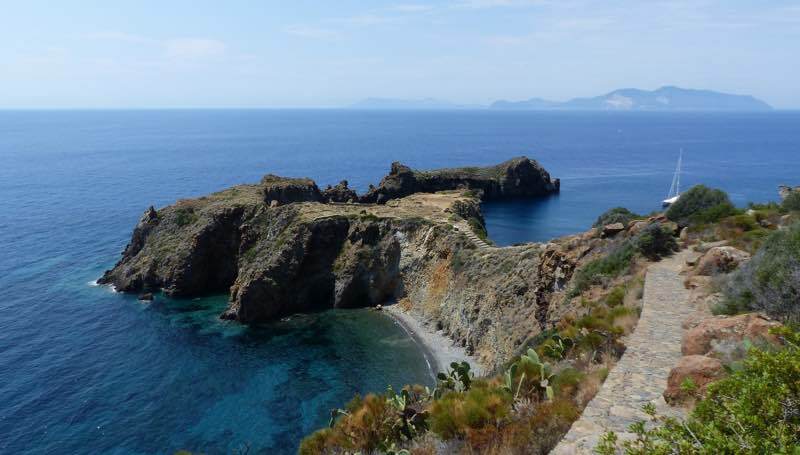 In stark contrast to the exposed volcanic terrain of the other Aeolian Islands, Salina boasts a lush, verdant landscape. Woodlands, wildflowers, thick yellow gorse bushes and serried ranks of grape vines carpet its hillsides in vibrant colours and cool greens, while high coastal cliffs plunge into the breaking waters below. The island − the second largest in the archipelago − is the only one to enjoy natural freshwater springs and it’s these, combined with the volcanic soil, that make it so fertile. The Aeolians’ famous Malvasia wine is produced here. Tourism has encroached on island life, particularly in Santa Marina Salina and nearby Lingua, but away from these, there’s a distinct feeling of remoteness − a sense that the rest of the world really is a very long way away. Exclusive and expensive, Panarea is the smallest and most fashionable of the Aeolians, attracting the international jet-setters for a taste of dolce far niente (sweet nothing). In summer, luxury yachts fill the tiny harbour and flocks of day-trippers traipse around the car-free whitewashed streets of San Pietro, the port and principal settlement. Panarea is a strictly summer destination with very little going on outside the tourist season.